Unusual? Perhaps. Addictive? Without a doubt! 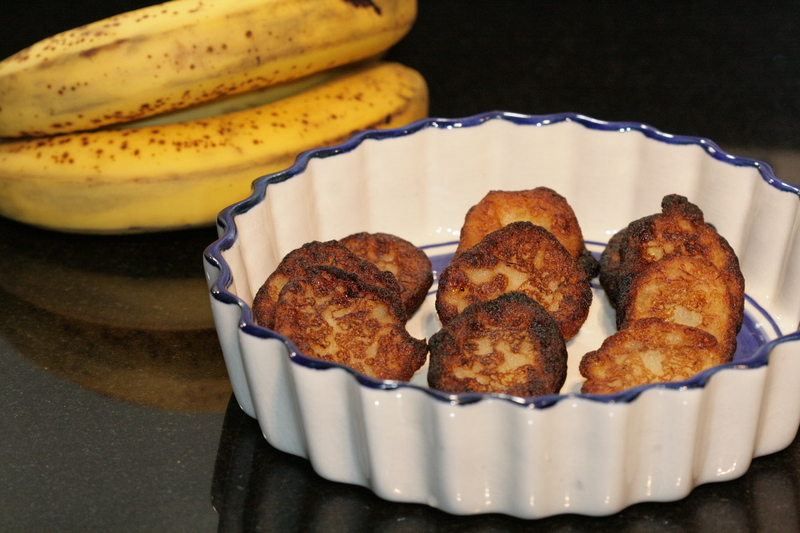 Umber (pronounced oom-burr) or banana fritters were part of the Shravani shanivar menu. The month of Shravan is one of the holy months in the Hindu calendar and coincides with the Indian monsoon. It is marked by worship, prayer and food offerings to God – in our case, the puja was offered to Maruti (Hanuman). Every Saturday (shanivar), my granduncle would painstakingly draw a rice rangoli depicting Maruti. A beautiful and creative expression of his devotion. The umber were the highlight for me. They were absolutely delicious. Sweet and fried – how could they not be? Mine never taste as good as the ones Aai or Aji make. Maybe it’s the ingredients (the variety of bananas used for these fritters is not available in the UK), maybe it’s the love with which they were made. Those family feasts are but a happy memory of the past, but at least the food remains, to remind me of those wonderful days. 1. Mash the bananas well. Add in the sugar and mix till dissolved. 2. Add in the rice flour. Mix until there are no lumps in the banana mixture. 3. This should now be the consistency of a thickish batter. 4. Heat oil in a wok. When it is really hot, drop spoonsful of the batter into the hot oil. 5. Lower the heat. Cook till caramelised to a golden brown. Flip over and cook the other side. We used to eat them along with our meals, as is usual in Indian meals. But there’s no reason why you can’t serve these as dessert with a dollop of vanilla ice cream on the side. This entry was posted in A-Z Blogging Challenge 2015, Desserts, Festive food, Vegan and tagged #AtoZchallenge, banana fritters, epicurious, Mumsnet Blogging Network, shravani shanivar, umbar, umber, vegan dessert. Bookmark the permalink. 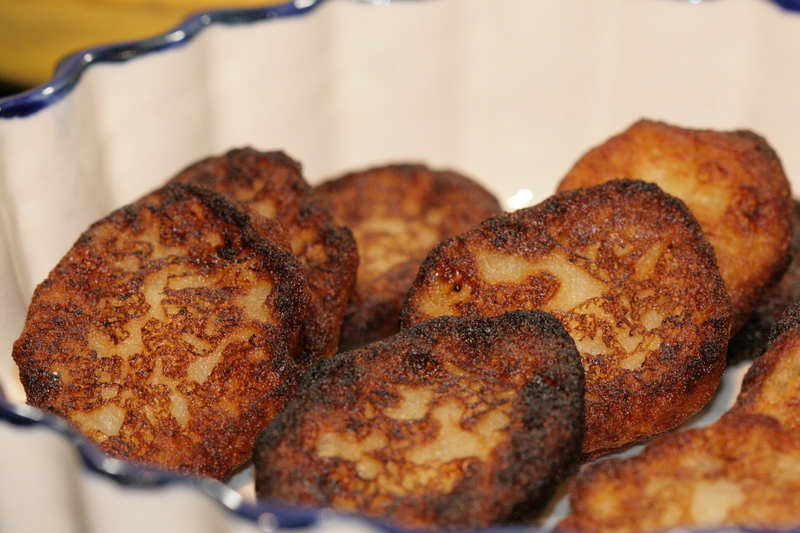 We have different banana fritters in Kerala. I will try this one. I have never had this. This looks and sounds a delight to taste buds.